A tooth extraction in San Diego is a common procedure, and your dentist should be able to get you through it with minimal pain or discomfort. If you’re taking on multiple tooth extractions in one sitting, the recovery period may be a bit more difficult to handle. As long as you prepare in advance, you should be able to make it through the recovery process without any setbacks. You may need to have someone drive you home after your appointment if you were sedated, so pick up any supplies you’ll need before the procedure and know what to expect during recovery. If you need help planning for a healthy recovery from multiple extractions, read ahead. One tooth extraction may not be a big deal, especially if you’re comfortable with spending time in the dentist’s office. Taking on multiple tooth extractions in the same sitting is a different story, and it can be a little more difficult to get through. If your dentist gives you a sedative to help you through your multiple extractions, you might need to have a friend or family member drive you home after the appointment. If you’re the anxious type, you should know what kind of symptoms to expect after having several teeth pulled. You can keep yourself calm by reminding yourself that a small amount of bleeding is normal after this type of procedure. You also must look out for food debris that might get stuck in the area where the teeth were removed. As long as you picked up the right recovery materials before you went to your dentist appointment, you should be able to handle these after effects without too much discomfort. Having the right materials within arm’s reach can make all the difference when you’re recovering from multiple extractions. Pick up any medications you’ve been prescribed by your dentist and have plenty of gauze on hand, so you can mediate the bleeding. Ice packs can also be helpful for reducing swelling and numbing the affected area. Today’s dental procedures are done with the utmost care, and in most cases, treatment is finished comfortably and successfully. 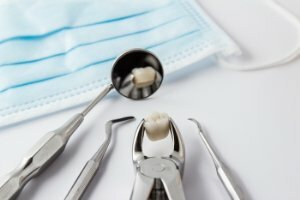 A routine tooth extraction in San Diego can alleviate your pain and prevent infections from spreading, but sometimes the patient is left with a dry socket. This happens rarely, but the symptoms can be painful. You can typically tell if you have a dry socket due to these symptoms. It is an easily treatable condition, however, and you can take steps to protect yourself from dry socket after a tooth extraction. Read on for some frequently asked questions and answers regarding dry sockets. Waking up in excruciating pain is not the way you want to start your day. Symptoms of dry socket can be painful and recognizing them early on helps you avoid the discomfort and get back to feeling like yourself as soon as possible. After a successful tooth extraction, a blood clot will form in the area over the bone and nerves. When the blood clot dissolves or becomes dislodged, it no longer protects these sensitive components. Everything from food particles to the air you breathe can then agitate the area and cause a painful infection. Although the symptoms of dry socket can be uncomfortable, there are viable treatment plans. Nonsteroidal anti-inflammatory drugs, or NSAIDs, can help you manage the discomfort, but you might want to ask your doctor about a prescription pain reliever. Your dentist can also clean out the affected socket and fill it with medication to help it heal quickly. Can I prevent it from occurring? People who smoke or use tobacco products tend to be more susceptible to dry socket, and poor oral hygiene only makes matters worse. Although it can happen after any type of tooth extraction, it’s more likely to happen after removing wisdom teeth. Those who have had dry socket before are also more prone to experiencing it again. When you lose a tooth, you should waste no time in figuring out how to replace it. Whether you choose dentures or dental implants in San Diego, you should act quickly in order to protect your health. Watch this video and learn why tooth loss is bad for your health. Tooth loss is obviously bad for your smile and your oral health, but it can also take away from your total wellbeing. Part of this connection is due to the difficulty that some people have when they try to eat healthy foods with dentures. People with dentures tend to eat fewer fruits and vegetables, because they have a hard time chewing them. If dentures make it difficult for you to eat a healthy diet, ask your dentist about a new adhesive or different sized dentures. Not everyone has wisdom teeth, and many of those who do end up getting them removed. 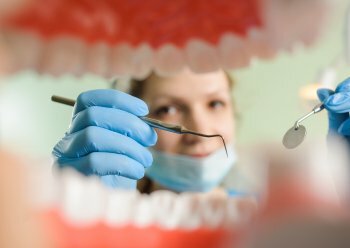 This kind of tooth extraction in San Diego is common because wisdom teeth are no longer necessary for humans, and much of the time they just end up causing problems and painful symptoms. Impacted teeth are teeth that don’t fully erupt from under the gum line. They cause aches and pains, and the only way to alleviate the symptoms is to have the tooth pulled. Like wisdom teeth, eye teeth can also become impacted . The difference is that eye teeth still play a vital role in our mouths, whereas wisdom teeth have become vestigial. Here’s how impacted eye teeth are treated. Since you need your eye teeth more than you need your wisdom teeth, it’s important to notice signs of impacted “canines” early on. Eye teeth are often impacted because there’s not enough room for them to emerge from the gums due to overcrowding in the mouth. In this case, orthodontics may help reorganize the emerged teeth and make room for the eye teeth to erupt. You might also have to have teeth pulled to create enough space for your eye teeth. Dentures replace your teeth and revive your smile, but they’re not without their faults. When you combine dentures with dental implants in San Diego, you get the best of both worlds. You’ll have a mouth full of natural looking teeth again, so you’ll be happy to show off your smile. The implants will hold everything in place so your teeth don’t slide around in your mouth, and they’ll fuse with your jawbone to preserve bone mass. Keep reading for a closer look at how implant-supported dentures can restore your smile. The point of treatments like dentures and dental implants is to replace your missing teeth. Dental implants are a popular option because of their high success rate and impressive results, but what if you’re looking to replace more than just one tooth at a time? 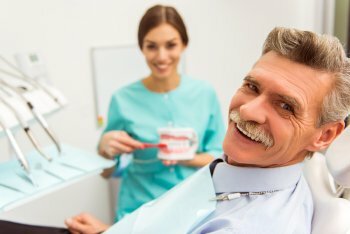 If you’re missing a group of teeth, a row of teeth, or all of your teeth, implant-supported dentures can offer the advantages of dentures and dental implants at the same time. Each denture will be supported by a couple of implants, so you can enjoy a full smile again without needing a different implant for every tooth. A common problem people have with dentures is that they slip around in the mouth. This can mess up your speech and make it more difficult to chew your food effectively. If they’re improperly sized or you don’t use the right adherent, they could fall out entirely. Implant-supported dentures are fused to your bone, so they won’t fall out easily. People find this more comfortable because they know their teeth will stay in place, and they feel more like natural teeth than conventional dentures. Implant-supported dentures fuse to your jawbone and keep the restoration in place, but there’s more to it. By fusing to your jawbone, the implants take the place of your tooth roots. The root of a tooth—whether natural or prosthetic—stimulates the jawbone and prevents it from undergoing resorption, which is the process of losing bone mass and shrinking. Why Don’t You Use Your Wisdom Teeth? Most people in their mid-20s either already have their wisdom teeth in San Diego or won’t have them at all. Not everybody grows wisdom teeth, and not everyone who does has them removed. They are vestigial parts of the body, but they can cause problems for your oral health. Watch this video and find out why you don’t use your wisdom teeth. Your third molars start growing right around your early teen years and will typically erupt by the middle of your 20s. The problem with these molars, or wisdom teeth, is that there’s often not enough room in the mouth for them. This causes them to become impacted or lead to infections, which are both painful and bad for your health. Humans don’t need these extra molars anymore because modern, cooked food is simply easier to chew. 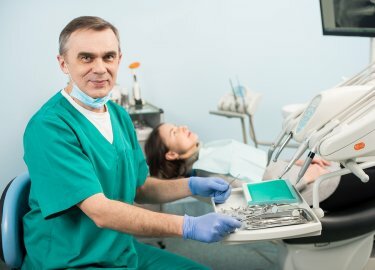 If you’re not sure if you need yours removed, have your dentist take a look. You’ll be a lot less nervous about your upcoming dental procedure if you trust your oral surgeon in San Diego. People also tend to think that oral health treatments are actually more painful than they are. In reality, it’s the symptoms of the condition that cause the pain and discomfort, and it’s the treatment that helps you feel better. Botox is one of the less invasive types of procedures , and it can offer your health and your appearance the boost you’ve been searching for. If you’ve been thinking about upgrading your cosmetics but you’re worried about comfort, keep reading to find out if Botox is painful. When you go through an intensive surgery, your doctor will use some sort of anesthetic to numb the area or put you to sleep entirely so you don’t feel any pain during the procedure. In the case of Botox, anesthesia isn’t even necessary. A Botox injection just feels like a quick, mild sting, and the pain isn’t enough to warrant a shot of anesthesia. There may be slight bruising in the area after the procedure is done, but the bruising will go away quickly. If you have any questions, your doctor will be happy to answer them. Maxillofacial injuries are also called facial traumas, and there’s a range of injuries that might fit into this category. You might sustain one during a sports game, an accident at work, or a car collision. 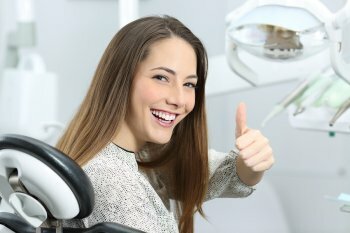 Even if you feel like you can handle the pain, you should visit your emergency dentist in San Diego to get checked out and make sure everything is still in place. 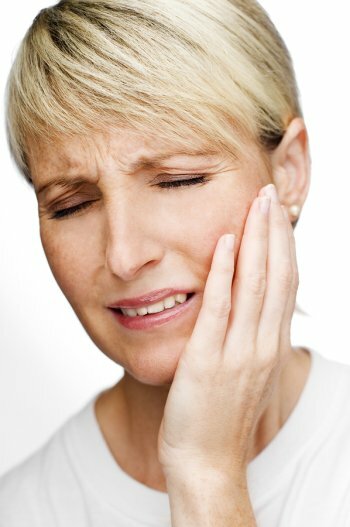 Facial traumas can deal with your bones and soft tissue in addition to your teeth, and the nature of the injury will determine how it is treated. Here are a couple of frequently asked questions about maxillofacial injuries. What is considered a maxillofacial injury? Any time you suffer a physical trauma to the face, you experience a maxillofacial injury. You might get cuts and scrapes on your face after a car accident, or you might trip and fall down and end up breaking or losing a tooth. Maxillofacial injuries pertain to the facial bones, the jaws, and even the inside of your mouth. These types of injuries can be mild or severe, but you shouldn’t wait to seek treatment regardless of how much pain you may—or may not—be in. Who can treat my injury? You’ll need to see an emergency dentist in order to treat a maxillofacial injury. Facial traumas can be severe and complex to treat, which means you should only trust a medical professional who has experience with maxillofacial injuries. 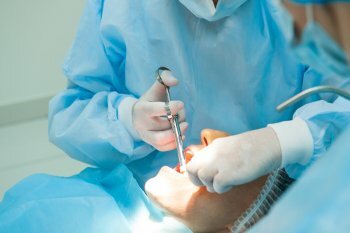 Severe injuries might require reconstructive procedures, and not all dentists are qualified to provide that level of care. There is also a degree of mental distress that comes with a facial trauma. Emergency dentists with specialized training and experience will be able to take care of their patients both physically and emotionally. What types of maxillofacial injuries are there? The type of maxillofacial injury you suffer depends on where exactly the trauma happened. Bone fractures, lacerations, and tooth damage all fall into their own categories under the maxillofacial injury umbrella. Treatment varies based on the type of injury you sustained, but your emergency dentist will know what to do. The advances in dental technology in recent years have been exciting for oral surgeons and highly beneficial for patients. One of these medical innovations is platelet-rich plasma (PRP) treatment, which some patients may receive after having a tooth extraction performed in San Diego. PRP doesn’t assist with the actual procedure, but it can help accelerate the post-op healing process. Platelet-rich plasma is extracted from the patient’s own blood, so there’s no risk of having an allergic reaction to a synthetic substance. And since it isn’t derived from donor blood, there is zero risk of disease transmission. If your oral surgeon decides PRP is a good choice for you, you’ll have a small amount of blood drawn. This is placed in a centrifuge to separate the blood into its components. Plasma, which is the liquid part of the blood, is then super-concentrated with platelets. 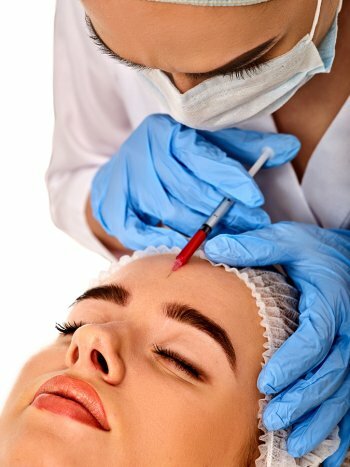 The result is platelet-rich plasma. The platelets in your blood contain proteins, which are called growth factors. When introduced to an injury or surgical site, these growth factors stimulate the stem cells to produce new tissue faster. In terms of practical benefits for the patient, PRP treatments can speed up the healing process. For example, if you’ve just had a bone augmentation procedure in preparation for dental implant placement, your oral surgeon might use PRP treatments along with the bone graft material. The PRP injection will trigger the increase in new bone mass, while also shortening the time you must wait before receiving your new dental implants. Most people are good candidates for PRP treatment, but it’s important to disclose your full health history to the oral surgeon. If you have a hematologic condition, such as a bleeding disorder, then you’re not a good candidate for PRP injections. Cancer, anemia, pregnancy, active infections, and some skin diseases are other contraindications for this therapy. Missing teeth can affect your health in many ways. They can lead to nutritional challenges and even bone loss in your jaw. Even if you fill in the gaps with tooth-supported bridges, the healthy teeth you have left will sustain damage. The ideal solution, according to oral surgeons in San Diego, is dental implants. Unlike tooth-supported bridges, tooth implants won’t adversely affect the adjacent teeth. Bridges require the adjacent teeth to be ground down. Implants don’t require the adjacent teeth to be damaged in order to be placed. Another surprising way dental implants protect your remaining teeth is by keeping them in good alignment. Once you have natural teeth extracted, they can no longer hold the neighboring teeth in place. These adjacent teeth will gradually shift out of place, leaning into the gap. This is why experts recommend getting dental implants as soon as possible. Otherwise, you may also need orthodontic treatment to correct the problem.